A majority of senior executives at the world’s largest companies say that blockchain-based systems are set to replace existing mission critical infrastructure (Deloitte’s 2018 Global Blockchain Survey). We’ve all enjoyed a more interactive and socially engaged online community with Web 2.0, but enterprises are facing massive cybercrime and fraud is a multi-trillion dollar global business. Trust is the defining issue of our digital age. Blockchain (Web 3.0) solves these thorny issues with trusted information and secure transactions. Enterprises are leading blockchain adoption, deploying solutions for key use cases in supply chain, logistics, fintech, healthcare, and other major sectors. Join us and engage with thought leaders from IBM, PeerNova, Blume Global, Perkins Coie, Sanofi Ventures Storm Ventures and Lightspeed Ventures. These industry leaders will discuss live projects in production plus investment trends across the enterprise. 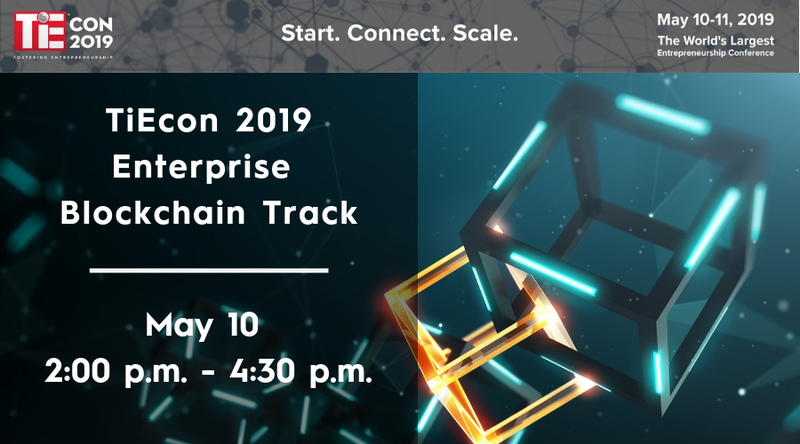 A new era is unfolding – don’t miss this exciting conversation at TiEcon’s Enterprise Blockchain Track on May 10 from 2 p.m. to 4:30 p.m.